"It takes a courageous author to write an introduction to biblical theology, and Matt Emerson has written a careful and compelling work. The Story of Scripture is thoroughly biblical and immensely helpful, showing how all the parts of the redemptive narrative point to Jesus. This work helps us see the striking beauty of the story of Scripture, and leads us to respond in worship of the Savior." "I believe its a sign of spiritual health that so many evangelicals have become interested in biblical theology. You hold in your hand (or see on your screen!) the best brief introduction to the discipline. In The Story of Scripture, Matt Emerson expertly translates technical concepts for general readers and thoughtfully applies biblical theology to life and ministry. The result is an indispensable resource and an excellent first entry in a promising series that will do much to equip pastors, strengthen churches, and advance Christs kingdom." "The Story of Scripture provides a robust perspective that speaks to the coherency and the unity of Gods redemptive narrative. This book vigorously testifies to the person and work of Jesus Christ as the central theme of the Bible in a way that is informative and encouraging. Matthew Emerson has given us a resource that will serve both the pulpit and the pew well. It is with great enthusiasm that I recommend this work." "If you have any interest in the Bible, then I encourage you to take up and read this little book! Many people know stories in the Bible, but they don't know the story of the Bible. Emerson has provided an easy-to-read introduction of biblical theology, showing the marvelous unity of the Bible, of which Jesus is the hero. The Story of Scripture will help you understand the redemptive drama of Scripture better, and will also build your faith, as you consider the divine nature of Scripture. I will be using it for years to come." "If you are looking for a primer that combines a predictable evangelical high view of scripture with an unpredictable historic/Christocentric read of the Bible, you are holding it in your hand. Emerson has provided a faithful and helpful volume: broad enough in scope to grasp some of the principal points of biblical interpretation, yet readable enough for the curious beginner." "This first volume of the promising Hobbs College Library is an insightful, solid, faithful, and edifying introduction to the biblical story and biblical theology. It will strengthen pastors, students, and church leaders alike." 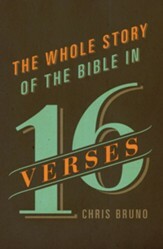 "The Story of Scripture masterfully demonstrates the continuity in the storyline of the Bible. Matthew Emerson offers a vivid, yet accessible, description of how biblical theology has been conducted throughout the course of church history, and traces the essential theme of redemption through the biblical narrative. 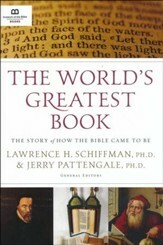 The volume culminates with an invitation to participate in Gods story, which it masterfully tells." 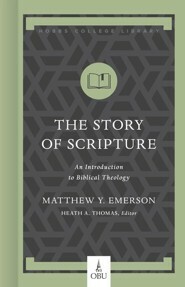 "Matt Emersons The Story of Scripture maps the theological unity of Scripture. 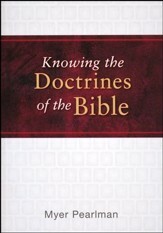 The terrain of Scripture is presented through an insightful, close reading of the Bible. 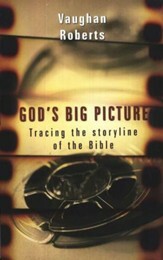 Emerson contributes to ones understanding of the biblical storyline by connecting how many sub-plots of the story connect to its main plot. He also adds brief, perceptive explanations of the underlying theological themes that construct the contours of the Bible. Emerson believes knowing how to apply biblical truth to our lives depends on recognizing the biblical story and where one is in the story. He persuasively illustrates this in his discussion on preaching, doctrine, biblical counseling, the Christian life, and the churchs mission." I'm the author/artist and I want to review The Story of Scripture: An Introduction to Biblical Theology.